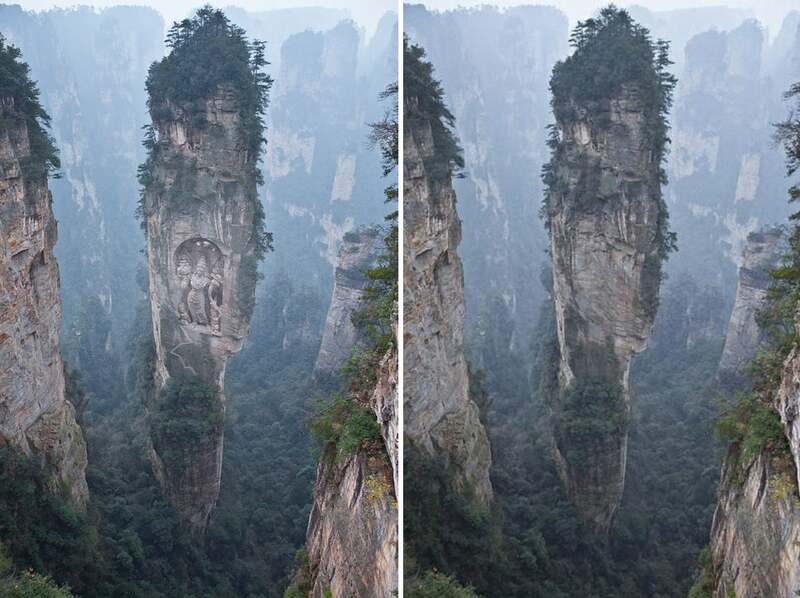 It’s an astounding sight: Buddha carved into a tall rock formation at the Ngyen Khag Taktsang Monastery in China. People talked breathlessly about how they visited the place, saw it with their own eyes. Except that they didn’t. Because it’s a fake. And this is the guy who faked it. The creator of this photoshopped landscape goes by the handle Archistophanes on Twitter, and prefers to remain anonymous. He’s part of an art collective known as Reality Cues, whose Graffiti Lab project plays with landscape and architecture, conjuring images that exist only in the mind and on their computers. I talked with him recently about what it’s like to see one of your fakes go viral, to watch the internet treat your manipulated images as fact. But despite the original landscape image’s popularity, the new image that he had created started to pop up much more often. Which was part of the point. Two more readily apparent Archistophanes creations. I asked if any of his other clearly photoshopped creations had gone viral. This, of course, was a stupid question. 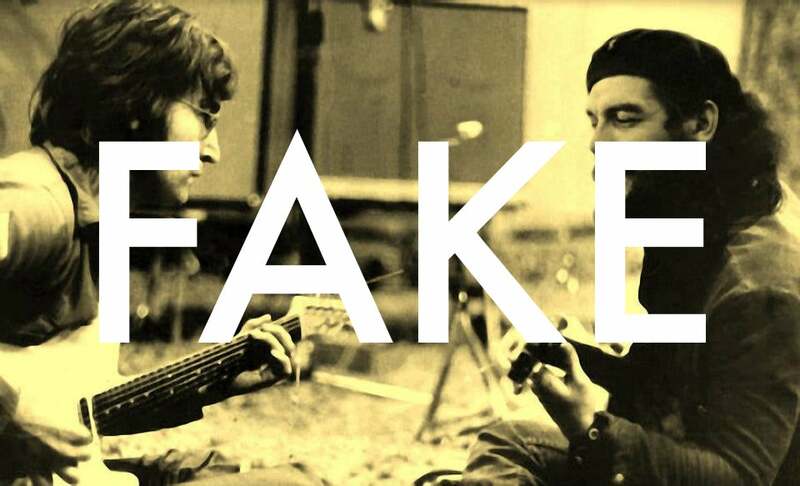 One person’s obvious fake is another person’s proof that the world truly is a beautiful and magical place. “I like that you say ‘clearly photoshopped’ because to me they are all clearly photoshopped,” he said. One creation called Long Forgotten Temple of Lysistrata (above left) was another viral hit. 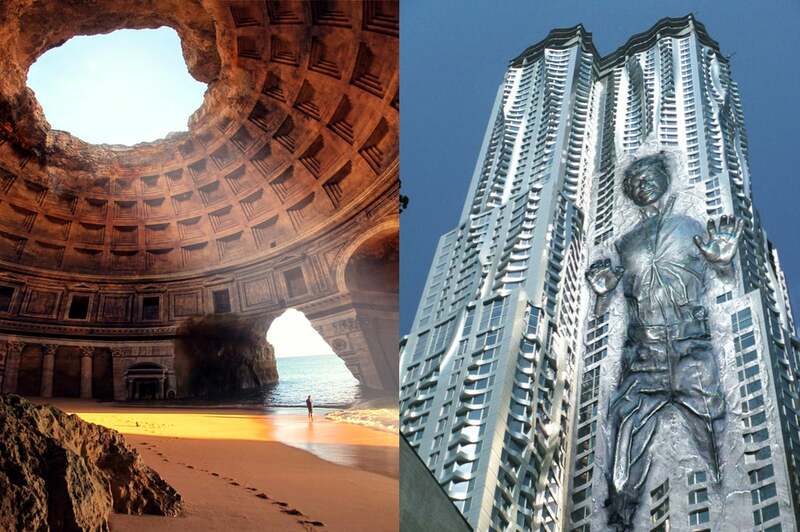 Even the Han Solo in carbonite stuck in a Frank Gehry building (above right) has been passed around on Tumblr as real. One of the things that most amazes people who unknowingly pass along the doctored monastery photo as real, Archistophanes noted, is how difficult it would be to actually build something like that. It seems to instill a sense of hope, aside from simple awe. “People defend it against accusations of Photoshop,” Archistophanes said. It’s clear that the manipulated photo inspires people who are looking for that particular brand of inspiration in their daily lives. That seems to be why these images go viral; why they’re passed around like the internet’s native currency. With all the shittiness, outrage, and despair in the world, we want to believe that humanity can still achieve great things—that building something beautiful is not outside of our reach. Which in turn means that as long as there are people like Archistophanes in the world, whether their intent is virality or just art, there will be plenty of fake images to believe in for years to come.